Worried your life’s going nowhere? 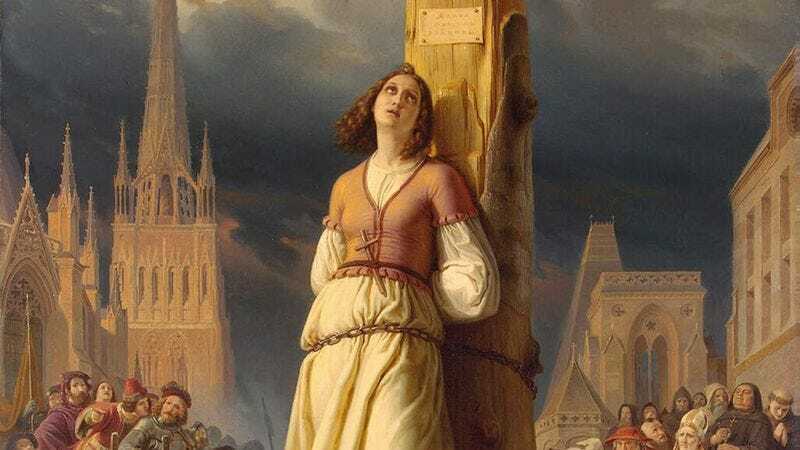 Then you might not want to read this: French patron saint Joan of Arc—yeah, that Joan of Arc—was a mere 19 years old when she was burned at the stake as a heretic. Nineteen. As in one-nine. *facepalm* As if you didn’t hate yourself enough already. It’s true: Before she even turned 20, Joan had fought in the Hundred Years’ War, been captured in combat, sold to the English as a prisoner, tried in court, and executed in a public auto-da-fé. And what have you accomplished in your life? Joan got a very early start, too. As a 12-year-old prodigy, she was already experiencing religious visions of saints urging her to drive out the English and reclaim France. From there, she wasted no time; fast-forward seven years, and the overachiever had already been sentenced to death by combustion for a litany of crimes ranging from heresy to cross-dressing. So, just think about that next time you get passed over for the promotion.